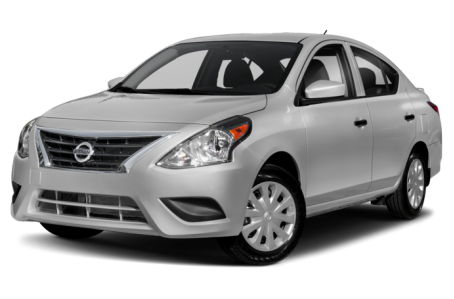 The 2018 Nissan Versa is a subcompact sedan that seats 5 passengers. It competes with the Toyota Yaris, Kia Rio, and Mazda 3. The Versa Note is the hatchback version, which will be covered in a separate overview. Four trims are available: the S, S+, SV, and SL. Under the hood, the Versa is powered by a standard 109-hp, 1.6-liter 4-cylinder mated to a 5-speed manual transmission or a 4-speed automatic. The S+ and higher trim levels have a more efficient Xtronic continuously variable automatic transmission (CVT).